From keyless entry systems to lock repair and replacement, our commercial services include everything required for keeping your business secure. Rely on our locksmith company. The security is a top priority for any company or a business facility. Unfortunately, there are some issues that are unavoidable like key loss, or a broken lock. But to that end "Locksmith Bolingbrook" offers a wide array of professional lock, key and security solutions as a part of our commercial services. For many years, our locksmith company has been catering to the needs of business of all sizes and industries. 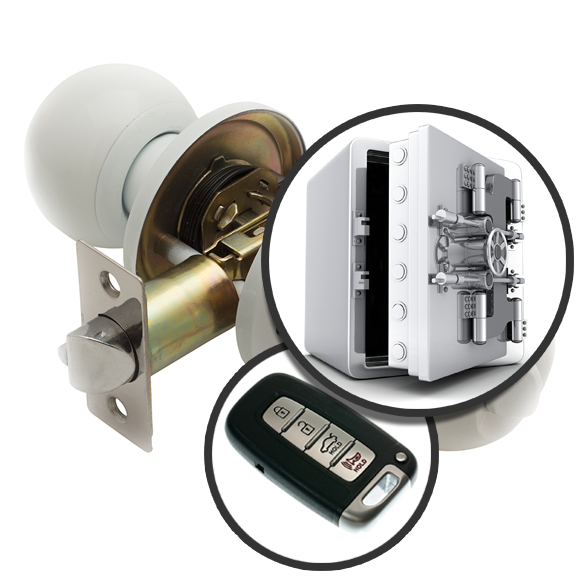 Our services range from lock rekeys and repair, to installing new safes and keyless entry systems. Let us provide modern solutions for security improvement with lasting results. You can rely on us to provide emergency assistance at any time. Our services cover all types of locking devices used on business premises. Our technicians are equally good at fixing file cabinet locks and the most advanced digital devices used for securing areas with restricted authorized access. We keep up to date with the latest innovations and technologies in our industry to deliver solutions of the highest quality at all times. If you have to use lots of force to turn the key when you want to unlock the door or you hear strange sounds during locking, let us fix the issue right away. Our technician will check the device and repair it using modern techniques and tools. The device will be as good as new in no time. In addition to lock repair, we specialize in fixing keys as well. Issues like bending are resolved quickly. You will be surprised to learn how common office lockout situations are. Whether it is due to lost or broken key or faulty lock, count on us to resolve the problem effectively in the fastest possible manner. Our unlocking techniques do not involve force and are completely safe to use. The underlying cause of the problem will be eliminated right after you get access to your office. Our solution for key loss involves rekeying or changing the lock and the provision of new keys. At Locksmith Bolingbrook, we always ensure that the security of the property is maintained at its optimal level. The security of a commercial building can be adversely affected by various factors. Something simple such as not keeping count of keys provided to employees can result in a major breach. Similarly, the use of locks for a long time increases the risk of malfunction and would make break-in easier. Use our professional solutions to keep all business buildings secure. Hire us to install advanced security door locks or to replace existing devices with more modern and reliable ones. You will receive full assistance with comparing different options. Our company has the capacity and project management experience necessary to complete the installation work in the quickest possible way. Rely on us for carrying out more specific projects such as safe installation. The service includes everything from pinpointing the best setting to helping you choose the right device. The safe will be securely fitted and its settings will be properly adjusted. Browse our website for more information on our services.